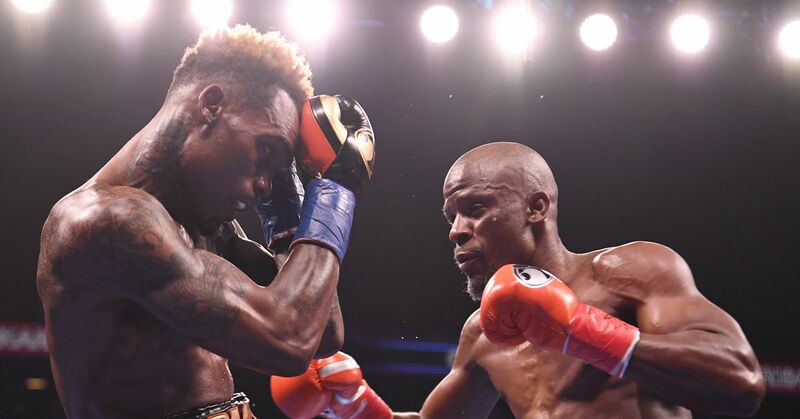 In one of the more puzzling decisions of the year in boxing, Tony Harrison scored an impressive surprise tonight in Brooklyn by Jermell Charlo, raising the WBC Junior Middleweight title to 115-113, 115-113 and 116 -112. BLH had 117-111 for Charlo, as did Larry Hazzard of FOX. Charlo (31-1, 15 KO) not only loses his title belt, but also a potential big unification with Jarrett Hurd, another 154-pound PBC title holder. He seemed to really outdo Harrison (28-2, 21 KO's) in the course of the fight, but Harrison stayed there for the first time in his professional career, the full 12. The judges saw clearly that Harrison did more than "Staying in there" and Charlo doing less than most of us thought. No question, Harrison had moments throughout the fight, but it did not seem to be enough to actually win. "You have taken this fight from me. I fought the whole fight there, "Charlo said. "He did not win this fight." "I ground, I ground, I ground, and I showed the championship," said Harrison, who owed his jab and ring generalship. Then he offered Charlo a rematch, but Charlo came to the microphone and said Harrison had already told him that he knew he had not won the fight, which of course Harrison denied. You would think that we are going to make a rematch here, but who knows?